Fun Steps – Cartoon is an iPhone game developed by Pocket Scientists. You can use this collection of wacky sounds to make play time (or even story time) way more exciting than it used to be for your kids. 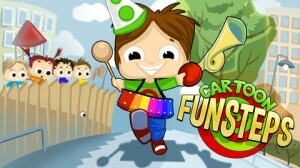 Fun Steps – Cartoon lets you pick from a selection of classic cartoon sounds. After making your selection, you then place the phone in your pocket. 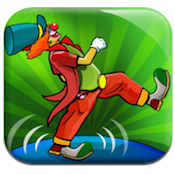 As you walk, jump, run, stomp around, or just take a single step, Fun Steps – Cartoon plays a noise in time with the patter of your feet. There are two main settings to help adjust the timing and frequency of the sounds. The first dial lets you calibrate the sensitivity of your phone to your footsteps, while the second dial allows you to put a bit of a delay on the sounds after they are triggered. The collection of sounds is pretty ideally tailored to the sounds that all kids (especially little boys) just can’t stop laughing at. 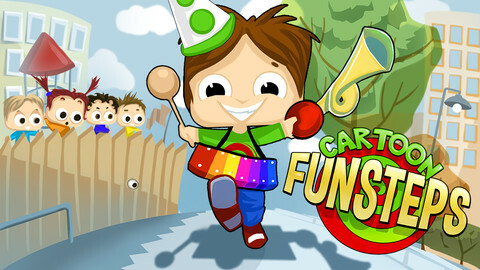 There are horn, farts, frogs, and even a xylophone setting. Each sound has a couple of different component sounds, which keeps the soundscape interesting for your kid as they walk around. 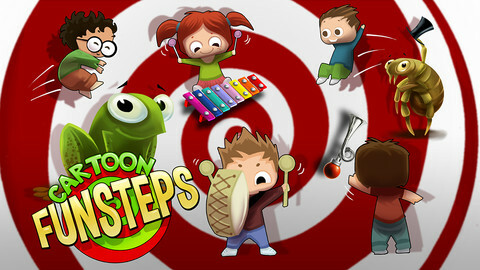 Recently updated at the end of November, Fun Steps – Cartoon version 1.0.5 has been upgraded to fix some pesky bugs. The voices were also polished a bit. Both these enhancements are sure to put a little spring in your step. 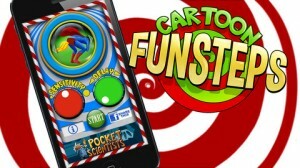 If you are intrigued by Fun Steps – Cartoon, you may also want to check out the other Pocket Scientists apps in the Fun Steps family. 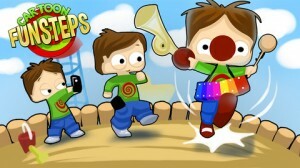 These include Fun Steps – Robots and Fun Steps – Monsters, both of which are free to download. Who wouldn’t want to sound like a robot when they take a step? It might run down your batteries and drive you crazy, but letting your kid play with Fun Steps – Cartoon is sure to entertain them for hours on end. Fun Steps – Cartoonis compatible with iPhone, iPod touch, and iPad. Requires iOS 4.3 or later. This app is optimized for iPhone 5.